Hoots of laughter made the Agroecology Treasure Hunt the loudest session at CASSA’s third Encuentro in April. Perhaps coincidentally, it was also the session with the most hands-on action outdoors. CAN affiliated researcher Bruce Ferguson, a professor at ECOSUR whose research is focused on mainstreaming agroecology, set up this session to give the CASSA participants both a chance to refresh their memory of the principles of agroecology and get a bit of sun. The idea was simple: participants strolled around the venue, the Tsomanotik agroecology center, carrying a list of the principles of agroecology, looking for and writing down examples of the principles (or “treasures”). Then the crowd voted on whether each example did or didn’t illustrate said principle – by waving our arms, whooping approval, or grumbling disapproval. CASSA’s Maya Agroecology thematic group and Bruce collaborated to identify core principles of agroecology that are relevant in our region: fair markets, knowledge exchange, and resistance. And here are the treasure hunt results: comments in italic are what CASSA participants wrote about the “treasures” —their observations of agroecological principles — they found at Tsomanotik! Healthy agroecosystems are complex and dynamic; their management is based on theory, observation and local experience, not on recipes. “In the mushroom shed they [Tsomanotik staff] settled on certain substrates and mycelia through trial and error. A second observation: seed selection: Chepe tells us that they choose the best seeds through observation and keep several varieties going, as some turn out well sometimes, not so well at other times. Biological diversity brings productivity and stability. [Observation 1] “The vegetable beds and greenhouse show a diversity of plants that are grown to stop the proliferation of insects from getting to the stage where they become pests. Agroecology seeks efficiency in the use of water, nutrients, space, time and materials, minimizing dependence on external resources. Management is preventive rather than curative. 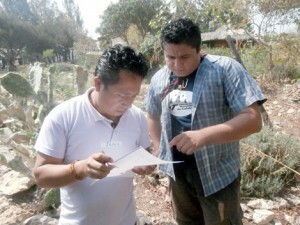 Agroecology is built on a horizontal meeting of diverse know-how. “CASSA.” This is what the Learning Community project is all about! Agroecology is woven from social interactions that create fair relationships between producers and consumers. Agroecology is social resistance to the displacement of local food systems. “Tsomanotik’s course ‘Food Sovereignty Leaders’ is a learning space for local youngsters. They also promote school gardens in the local primary schools.” This principle brings out the fact that eating and farming sustainably are not politically neutral acts, but forms of resistance against agro-industrial systems. The “treasure hunt” exercise can, of course, be undertaken anywhere to help us internalize the principles of agroecology, but in a center such as Tsomanotik there are gratifyingly many “treasures” to discover. It’s an agroecology training center with a large central vegetable garden as well as large-scale worm compost, a greenhouse and a “shade house” with netting, a mushroom shed, sugarcane (the village where it is, Tzimol, is traditionally a sugarcane growing town) and vegetable box scheme. The agroecology principles are keenly lived by visitors to Tsomanotik, like the members of CASSA. The showers are heated with solar energy, so afternoon showers are more pleasant than those in the morning. Event participants need to form dishwashing gangs to take their crockery through three sinks of “soap, rinse 1 and rinse 2” water after each meal. The water, once it’s deemed too scuzzy for further use, drains into a filtration pond – still being tweaked. The accommodation for volunteers and event participants has dry toilets –we concluded our stay with a memorable hike to the “poo-post” where the last days’ biomass contribution, already neutralized with ashes, is tipped into large mounds of sugarcane waste ash, to be used on fruit trees after maturing. 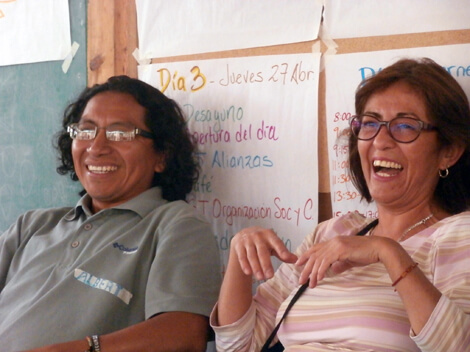 CASSA has held our two Chiapas-based Encuentros here, and living the agroecological principles – as well as bonding over the dishes and overcoming our poo-phobia together – have been important aspects of strengthening the cohesion and trust within the group.